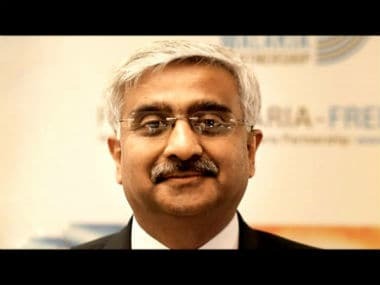 New Delhi: The alleged assault on Delhi Chief Secretary Anshu Prakash has created a trust deficit between the bureaucracy and the AAP government that will be difficult to bridge, former chief secretaries feel. Three former top bureaucrats of Delhi — DM Spolia, PK Tripathi and Rakesh Mehta — said the alleged attack on Prakash by AAP MLAs last week was a culmination of a series of events in which bureaucrats had been targeted for reportedly not toeing the line of the Arvind Kejriwal government. Spolia, who had two stints as Delhi chief secretary and also worked under the AAP government briefly, said the incident was a case of "bad manners, lack of etiquette and lack of decency" while Tripathi alleged the Kejriwal government seemed to believe if it subjected "the bureaucracy to torture...then they (the bureaucracy) will toe the line." "You can have differences of opinion, but you don't manhandle people," Spolia told PTI. The incident had sent shock waves among civil servants, said Spolia, who was the chief secretary from January 2013 to January 2014 and then between August 2014 and February 2015. He warned that no bureaucrat would now feel comfortable offering the right kind of advice for the fear of being assaulted. Asked if the incident had created a trust deficit between the bureaucracy and the AAP government, Spolia said in Hindi, "Aankh se aankh mila ke kaam kaise karenge (How will they face each other and work)." Spolia said, "When you abuse so completely and with such contempt, do you think the bureaucracy would like to face you? Would they like to come in your presence? Nobody would like to work with you. When cracks develop, you can paper over them, but you can hardly wipe them out. Injuries and scars are very different. Injuries heal, scars stay." 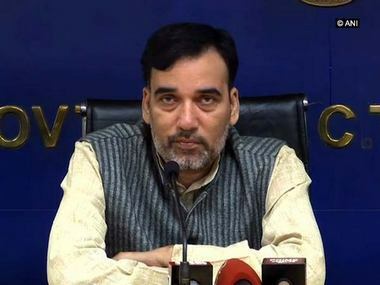 Tripathi, who was the chief secretary of Delhi between 2011 and 2012, dismissed AAP's charge that the assault allegation was politically-motivated, saying no chief secretary would make such a wild allegation "unless someone is actually subjected to this assault". "Mr Anshu Prakash is a very mild person, very cultured. It is beyond him to make a false allegation," the former bureaucrat told PTI. He held that this was a culmination of a series of events. "Right from the time this government has taken charge, they have the belief it appears that if they subject the bureaucracy to torture...then they (the bureaucracy) will toe the line," Tripathi said. 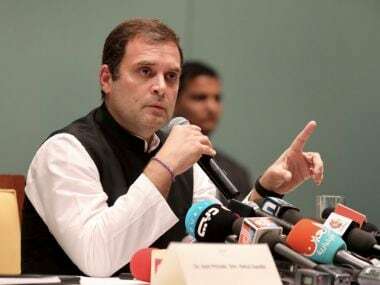 Talking about the repercussions of the incident, he said it had created a trust deficit while pointing out that it was not normal for IAS officers to protest. "We definitely want that at least the head of the government must come forward and establish trust. More the delay in taking remedial action, the trust will not be total," Tripathi said. Asked if the incident was being considered by the bureaucracy as an assault on the right to work freely, Tripathi said, "Absolutely. I met a number of officers. I also met a number of my successors who have worked with the government and they all were humiliated and were issued notices and memos for no fault of their own." Mehta, who was the chief secretary of Delhi between 2007 and 2011, said the alleged attack on the senior most civil servant of the government was an assault on the entire bureaucracy. The incident, Mehta said, was the "culmination of the distrust" growing over a period of time. Asked if the issue could be settled with an apology from the chief minister, he said, "It's too late. Already so much time has gone. If he had to apologise he would have done it a long time ago." Mehta said creating trust between the bureaucracy and the AAP government was very difficult now. Spolia said the alleged assault was the culmination of a number of incidents which had been reported in the media. 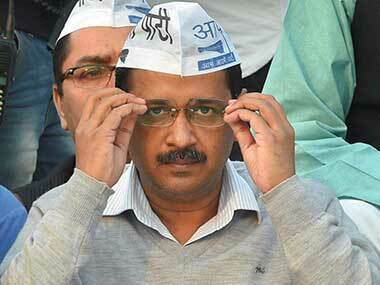 He claimed governance was rapidly being dismantled in the union territory of Delhi, with far-reaching consequences. "Mrs (Sheila) Dikshit ran her government with the same very BJP government (at the Centre) when Mr Vajpayee was in power. If you seek cooperation, if you reach out, I am sure cooperation will be provided," he said. Aam Aadmi Party legislators Prakash Jarwal and Amantullah Khan have been arrested by the police in connection with the alleged assault on Prakash during a meeting at Kejriwal's residence last week.